A veritable Islay classic! 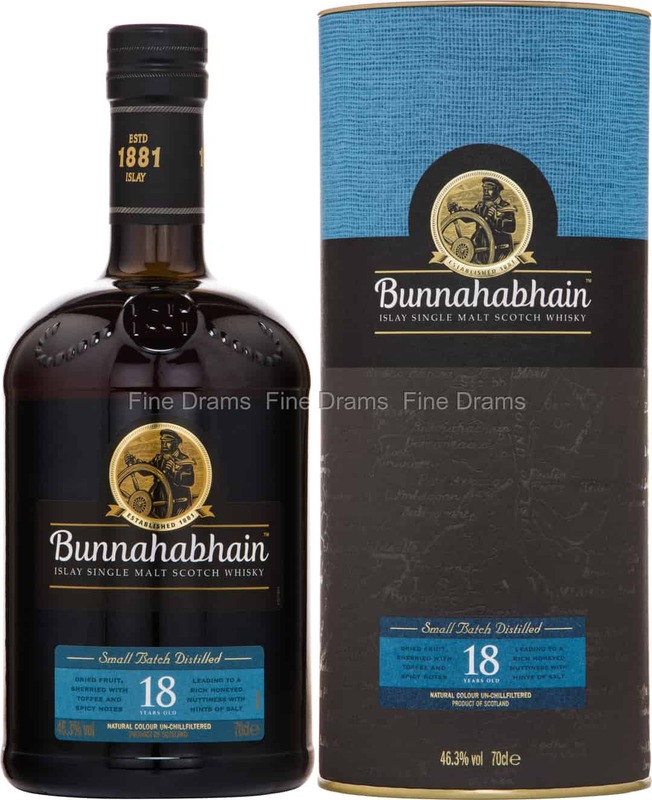 This beautiful 18 year old is one of the finest releases in the Bunnahabhain standard range. Bunnahabhain is unusual for an Islay distillery, in that it produces unpeated whisky. Nevertheless, the distillery, which is found to the Island’s north (just a little south of Caol Ila) retains plenty of maritime island character. This 18 year old, which was relaunched in 2010 to great acclaim, shows great maturity and signs of sherry maturation. Bunnahabhain distill their 18 year old in small batches in their unusual pear-shaped stills, which makes for a characterful and unique spirit. The dram opens with classic Bunnahabhain notes of jammy fruit and dark chocolate, accompanied by some thick toffee fudge, creamy honey, toasted hazelnut, vanilla, and citrus. There is the faintest suggestion of Islay sea-spray and smoke. Bottled without colouration or chill filtration, and at a warming proof of 46.3% ABV, this is a thick and luxurious whisky. The perfect expression of the Bunnahabhain house still, this whisky often scores higher than older bottlings amongst the critics.